you would likely say your home. Now consider that you're unable to work. Wouldn't owning a home be nearly impossible? Disability insurance is sold not bought. This adage has proven true for decades now, but selling disability insurance does not mean frightening your clients into buying an expensive product that they do not need. Rather, comprehensive insurance and financial planning means understanding the financial risks to which your clients are exposed and helping them to plan for that risk. What is Your Client’s Most Important Financial Asset? Stocks and bonds? Real estate investments? A home? How about the ability to generate an income? A 45 year old client making $200,000 a year could make over $8 million before he or she retires. For most people, their income is their most important financial asset, but they have never thought of their ability to earn an income as something that they can insure. One look at the chart below reveals just how much is at stake for you clients. This chart shows the earning potential at different ages for individuals working to age 67. It assumes a 5% increase in their salary each year. If a 30 year old making $75,000 a year has the potential to make over $8 million before retiring at age 67, it only makes sense to insure that potential income against possible losses. Is self-insurance a reasonable alternative to disability insurance? As with any type of insurance, self-insurance would be the least expensive route to go for the "average" consumer. But the truth is there is no "average" client. Either your client will get sick or be hurt and unable to work for a period of time, or not. If your client does not buy coverage and cannot work for a period of time, how long could he or she go without an income? And most Americans have significant debt. 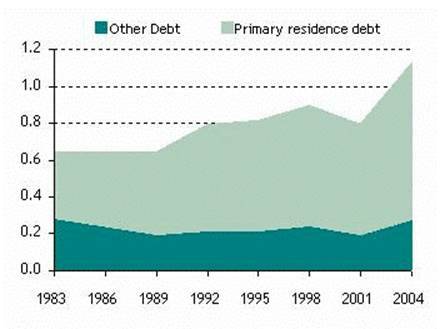 In 1983 the average U.S. household debt was about 65% of disposable income. 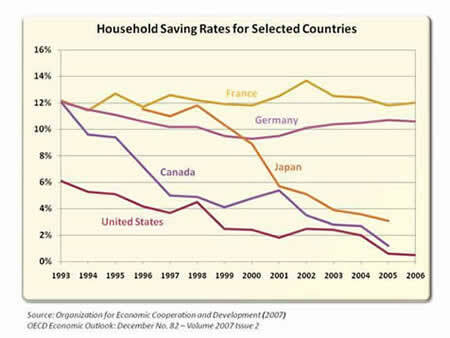 By 2004 that number had grown to over 115% of disposable income. Nearly 50% percent of home foreclosures were the result of disability, while only 2% of all foreclosures resulted from the death of a homeowner. For most of your clients, self-insurance is not a realistic option. What About Social Security Disability? Most clients want to be protected in their occupation and want to maintain their current lifestyle if disabled. Social Security Disability is not an adequate safeguard for most people. Do Businesses Cover Their Employees? Many employees are not aware if they have disability insurance through their employer - some even think that they are covered under their health plan. Small business owners and supplemental policies for executives at larger companies represent huge opportunities for educating your clients about protection that they might need. Most people do not like to consider the possibility of becoming disabled. Like the thought of our own death, disability is difficult to consider, but unlike death, there is a good chance that we will never become disabled. So it is easier to avoid thinking about the possibility of disability. But disabilities do happen and can happen to even the most health conscious among us. Source: Principal Life Disability Insurance claims incurred as of March 2007. The above is for illustration purposes only and is not intended as an inclusive representation of all claims. We cannot control all of the uncertainties of life, nor should we try. Buying disability insurance, however, allows us to take an active role in dealing with some of the uncertainties of life and can add to our peace of mind knowing that we have provided for our families and for ourselves in the event of a disability. Most people who buy disability policies will never use them, but many do. Insurance is about protecting those who need it. It is better to have disability insurance you do not need, than to need disability insurance that you do not have. What Causes Disability Claims? Many consumers think of accidents as the cause of disabilities, if they think about disabilities at all, but illnesses are a much more frequent cause of disability and the frequency of severe illness increases with age. What is the Average Cost of a Disability Policy? The client should expect to pay between 1.5% and 3% of his or her income for a comprehensive disability plan. Why Not Ask Every Client About His or Her Financial Plan in the Event of a Disability? We began this section by claiming that disability insurance needs to be sold. Clients do not want to think about disability. Most often, if your client is asking for disability coverage, he or she has had a recent health scare and may no longer qualify medically for disability insurance. So why wait? As the insurance agent or financial planner you want to discuss with every single client his or her financial plan for dealing with a disability. Do not wait to be asked. The idea is not to frighten them, although the topic can be frightening, but rather to educate them about the risks and the management of those risks. We all face three perils to financial security, living too long, dying too soon, and prolonged periods of disability during our working years. The worst of these is the living death. By discussing options with your clients for dealing with disability, you are providing a valuable service.